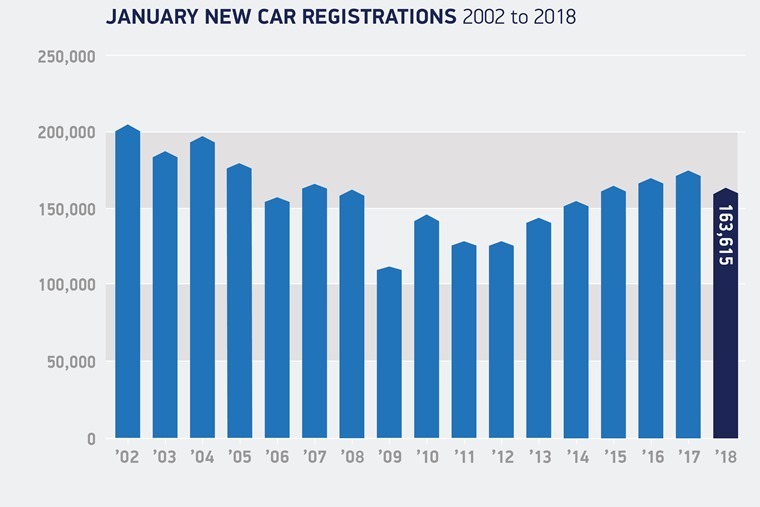 The UK’s new car market declined –6.3% in the opening month of 2018, with 163,613 registrations according to the latest figures from the Society of Motor Manufacturers and Traders (SMMT). With 10,949 less cars hitting the road compared to January 2017, demand fell across the board with registrations by business, private and fleet buyers down -29.7%, -9.5% and -1.8% respectively. Meanwhile, continuing the trend of recent months, SUVs were the only vehicle segment to see growth, with demand up 6.6% to account for a fifth (20.2%) of all new car registrations – a new record for market share. The biggest declines affected the supermini, MPV and executive segments. 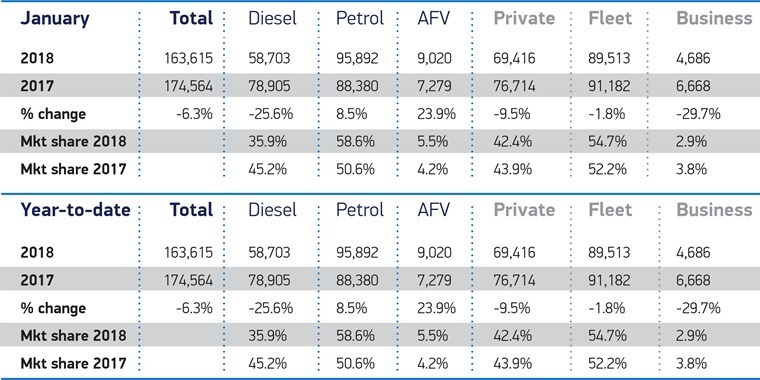 Registrations of petrol and alternatively fuelled vehicle (AFV) registrations actually increased by 8.5% and 23.9% respectively, but this failed to offset a large 25.6% drop in diesel registrations. Confusion over government policy is still causing consumers to hesitate, the SMMT says. Mike Hawes, SMMT chief executive commented: “The ongoing and substantial decline in new diesel car registrations is concerning, particularly since the evidence indicates consumers and businesses are not switching into alternative technologies, but keeping their older cars running. It’s early days yet, but the usual suspects make up the 2018 best-sellers list so far. 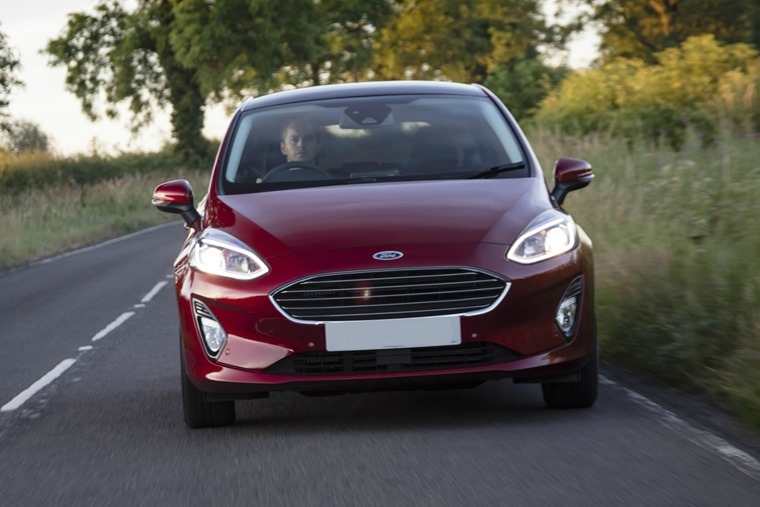 Top spot goes to the Ford Fiesta, with almost double the amount of registrations as the Volkswagen Golf, which finds itself in second position. 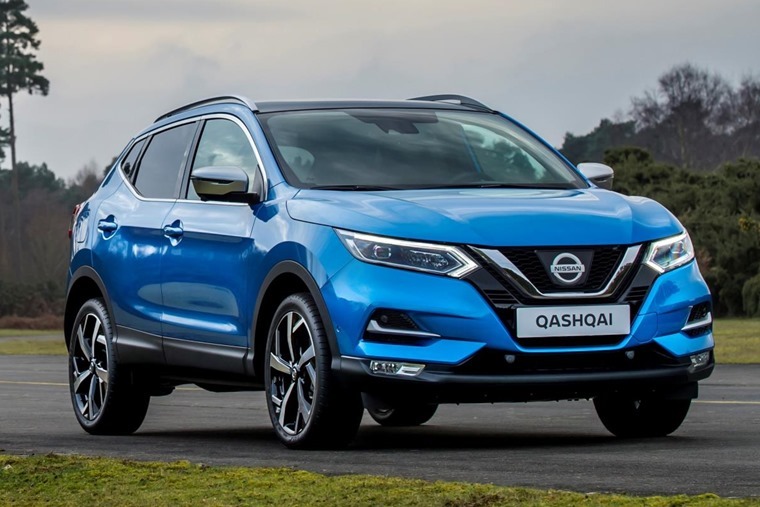 The rising registration numbers of SUVs is reflected by the presence of the Qashqai, Mokka X, Sportage and Kuga, while Mercedes’ C- and A-Classes look set to continue their impressive run in 2017 – they finished last year in 9th and 10th place respectively. Despite the decline attributed to falling diesel registrations, the UK remains the second largest new car market in Europe, behind Germany. Upcoming increases to diesel VED rates and company car taxes from April 2018 mean new car registrations could fall further in 2018 – by 5 – 7%, according to the latest SMMT forecasts. Meanwhile, new car ownership is in decline as consumers continue to turn their back on hire purchase in favour of personal leasing, according to our new report. In our Personal Leasing Report 2017: Growth in an uncertain market, we have found that the value of hire purchase agreements fell 9.8% in the 12 months to November 2017.